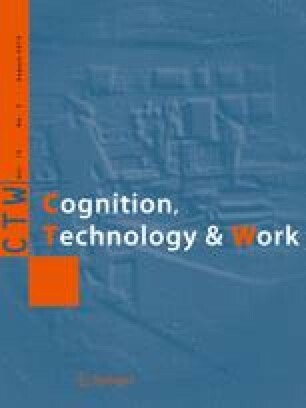 This paper reports a field study of work in a complex setting:an airport. The study was largely focused on the Air Traffic Control activities carried out in the airport control tower, but also investigated other work sites around the airport. An important feature of the successful operation of the airport, then, is the way that the activities occurring in these different sites become articulated through explicit communicative acts and through common understandings of the work of the airport. The airport is viewed as a common information space, a perspective that emphasises meaning and interpretation and the processes by which meanings become common across a heterogeneous work system. A characteristic of the environment studied here is that while meanings may not be common across the different communities of practice working at the airport, interpretations appear to be sufficiently common as to pose few problems in most circumstances. The study reported here was carried out as part of the Fast Prototyping project, sponsored by ENAV (Ente Nazionale Assistenza al Volo) and carried out by a consortium lead by Prof. Gaspare Galati from the Engineering Department of the University of Rome “Tor Vergata”. We wish to thank Fast Prototyping and the School of Computing, Middlesex University, for supporting this work. We would also like to express our gratitude to Paul van Fenema and Gabriella Spinelli who made many insightful comments on an earlier version of this paper.